She is not gone since the memories we have of Julie will be with us to eternity and beyond. But we will miss the presence of this beautiful, gracious, wonderful woman. The flies. they are a hatching! GRAYLING — As many as 1,000 people gathered under a huge, rain-drenched tent within a long cast of the Au Sable River on Sunday to celebrate the life of Calvin (Rusty) Gates, who for nearly 30 years had been the voice and chief guardian of one of America’s most storied trout streams. Gates, who owned the Au Sable Lodge with his wife, Julie, died last December of lung cancer at 54, the victim of his admitted “bad lifestyle choice” as a three-pack-a-day smoker. The ceremony coincided with the opening of trout season. Gates founded the Anglers of the Au Sable in 1987 and led numerous battles, many successful, against oil and gas drillers and other potential polluters, including the military, that he believed would have despoiled the river and its banks. Men and women, many wearing their fly fishing khakis and caps with a fishing fly or two attached, packed the tent. Cars, SUVs and pickups parked up to a half mile away, with license plates from as far off as Montana and Minnesota. Speakers who eulogized Gates, whom most friends called the Gator, often used the same words — “Stubborn, uncompromising, smart, relentless, pigheaded” — to describe his dedication to the river. Charles (Skip) Gibson, 85, of Grosse Pointe Farms, started fishing the Au Sable in the 1950s and had known Gates “since Rusty was a kid, just after his dad (Calvin Sr.) and mother (Mary) bought the lodge” in 1970. Dave Smethurst of Gaylord said, “He understood the scientific and legal issues as well as the scientists and lawyers” — even though his formal education ended with high school. Jeff Moss, 53, of Lake Orion, was spending his 43rd straight opening weekend at Gates’ Lodge. As the stories of Gates’ life wound down, the crowd was urged to do what Gates would have wanted. It was a memorial service fitting for trout season’s opening weekend. Not a single necktie was to be seen. Guests dressed in waders, fly-fishing vests, rain slickers and baseball caps. Gathering under a tent, set along the AuSable River’s “Holy Waters,” nearly 1,500 fisher men and ladies from throughout the country came to memorialize the passing of Calvin “Rusty” Gates, founding President of the Anglers of the AuSable and perhaps the greatest friend to Michigan’s trout streams that will ever live. They also came to celebrate life. The legacy that Rusty Gates worked so hard to build will continue on. Against the quiet whisper of rain on canvas, with a fly rod held at half-mast, bagpipes and drums proclaimed the start of the memorial service. Cars filled the parking lot and lined both sides of Stephan Bridge Road for two miles. Even the side roads were pressed into service for parking as shuttles helped visitors get back and forth. The service opened with memories from Julies Gates, Rusty’s wife. The next hour was filled with words and memories from some of Rusty’s dearest friends and closest relatives. Eric Sharp, long time outdoor writer for the Detroit Free Press, remembers Rusty from decades ago when Gates first made his start as the “voice and conscience of the AuSable River, not just the AuSable but the whole river system. “That voice is still heard forty years later” and probably will be for years to come, Sharp said. In his passing, Rusty Gates, a man known as “Gator” to his closest friends, has probably attained a status that most of us can only dream of: that our lives will make a difference. Yet Rusty’s dreams live on in the work of the Anglers of the AuSable; his life has and will continue to make a difference. The Au Sable just lost the best friend it ever had. Calvin “Rusty” Gates Jr., Da Gator to his legion of acquaintances, passed away on 19 December 2009. Things in this beautiful valley will never be the same. Once in a lifetime there is someone that touches your life in so many ways. Rusty Gates was one of those people. His spirit and tenacity had an affect on everyone involved in environmental causes, from hikers to hunters to the many of us who came here to cast a fly far and fine. He was a fighter and it was the good fight that he chose to engage; catch and release on the Holy Waters, National Guard noise pollution on the North Branch, oil wells on the South Branch, and toxic chemicals on the Big Water. Da Gator led the way. A tap on the shoulder, a glance from those blue/grey eyes, a short conversation; that was usually all it took. We set to our tasks with a brio, partly from the cause, partly not to let him down. He had all the connections and could accomplish more in a phone call than anyone else could do in six months of work. Where would we be without him these last 20 plus years? A man of character and courage, he brought both, as well as his wry sense of humor, to his final battle. In the end, only his body gave out, Rusty’s spirit remained indomitable. Rusty Gates has left us as a leader, but left a legacy as big as the river. The vigilance that he began will go on! Funeral services will be held on Wednesday, 23 December 2009. Time: 1pm with a luncheon to follow. Memorial contributions can be made to the Anglers or Heartland Hospice, 417 W. Houghton Street E, West Branch, MI 48661. GRAYLING — If you want to experience Rusty Gates’ legacy, drive this winter to the Mason Tract on the South Branch of the Au Sable River and snowshoe or ski through the snowy, hushed woods to the banks of one of the least despoiled streams in Michigan. Listen to the wind sighing through the pines, the occasional soft “plop” of a clump of snow falling from a high branch, the startling “grawk” of a passing raven. Then listen to what you don’t hear. Drink in the silence when the wind dies, a quiet so intense, it can be unsettling, and absorb a solitude that can be experienced in few places in a state with 10 million people. Realize that is a rare view into what the world was like before the airplane and automobile, before highways and the logger’s axe. And know that the reason you don’t hear the “tunk, tunk, tunk” of an oil well or smell its rotten-egg odor in this special place is largely because of Calvin Gates Jr., a valiant defender of the Au Sable River system who, on Saturday, died far too young of lung cancer. He was 54. Rusty Gates faced his death the same way he faced life, with a wry dignity and courage, surrounded by family and friends who, for the last month, took turns sitting with him at his home on the banks of the Au Sable River mainstream a short distance from the family trout-fishing lodge that he had worked in for 40 years and owned for nearly 20. A funeral service will be held at 1 p.m. Wednesday at St. Mary’s Roman Catholic Church in Grayling. A final visitation will be held at the church from 11 a.m.-1 p.m. for the many friends coming from long distances. Gates founded the Anglers of the Au Sable in 1987 to defend the river system from a constant barrage of threats, ranging from polluted storm water runoff to oil drillers, and was the organization’s president through this year. Josh Greenberg began working in the Gates’ Lodge pro shop 15 years ago and, last summer, took over as manager at the age of 30. He will continue to manage the business with Gates’ wife of 21 years, Julie. Gates’ dad, Cal Sr., was a high school music director in Oscoda who, during the April-September trout season, often spent five evenings a week driving 100 miles to Grayling to fish the Au Sable. He finally got tired of the commute, and in 1970, he and his wife, Mary, quit teaching jobs and bought the defunct Canoe Inn at Stephan Bridge about 10 river miles downstream from Grayling. It was Cal Gates who irreverently named the flies-only stretch of river from Burton’s Landing to Wakely Bridge “The Holy Water,” and despite the doubts of many locals, Cal Sr. and Mary built a thriving business where Rusty began working as a fly tier and guide while still in high school. Rusty took over management with his wife, Julie, when Cal died in 1983, also at the age of 54. Rusty Gates could be a prickly character, the polar opposite of his hail-fellow-well-met father. During the 35 years I knew him, I more than once heard longtime customers wonder aloud “how the hell he stays in business” after they met him on a day when he was displaying his crusty side. But they usually came back because they knew that under the shell was a shy, bright, funny man who not only knew nearly everything there was to know about fly-fishing but about how to try to preserve fly-fishing for future generations. After being diagnosed, Gates never showed bitterness nor anger, and his public face only became more outgoing and cheerful as he savored every moment that was left to him. “It actually gets easier once you know what to expect,” he once said, a comment that left me at a loss for a reply. I always looked forward to our too-short and too-infrequent stays at Rusty’s lodge and I always found the lodge to be just about perfect. It wasn’t all frilly or too fancy. It was always clean and comfortable and right on the banks of one of the best trout streams in the mid-west. He was always more than willing to share some info on what to fish and where to fish and it was a treat to watch him tie a fly and pick up some advice on how to tie a particular fly. He was a true gentleman; except when it came to the AuSable! 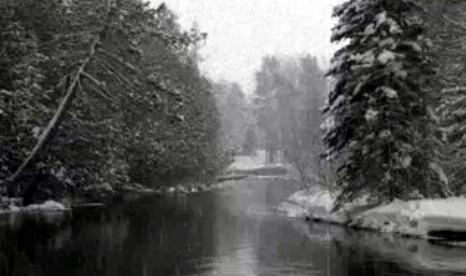 He was a warrior when it came to his beloved AuSable River. There are few in a generation with his sense of purpose and determination. He will be greatly missed. A great person gone too early. He did so much for the river he loved and so much for people who wanted to share in its gifts. He always had a glint in his eye when talking trout. He truly left the world a better place. I was fortunate to run into him in the the shop one last time late this summer, still working the shop and imparting his wisdom. He will be missed. Yup, Rusty was a great man. I was fortunate over the past few years to see a side of Rusty that most didn’t…that being his life outside of the shop. I think it would surprise a lot of folks. I’ll miss the dinners, the camp fires and mostly sharing a log waiting for the bugs. Rusty was a very deliberate fisherman. I mean he would wade what he called the “home loop” but by and large, he sat on a log. He didn’t fish to fish, didn’t fish for numbers…he just enjoyed sitting on the river…two Labatt and a flask in the vest. Those logs were my class room and I had a pretty #ucking good instructor. He loved that river and he loved those fish…almost to a fault, and we’re all better for it. Sad news. Rusty Gates, owner of Gates Au Sable Lodge, flyfisherman and conservationist extraordinaire, died on December 19. Rusty’s legacy lives on in the river he loved and fought for. All who take pleasure in the Au Sable River owe Rusty eternal gratitude for his efforts to preserve and improve this great watershed. Information is posted at the Gates Lodge and Angler of the Au Sable websites: Question by MLH. Uploaded on This is very sad and shocking news to me. 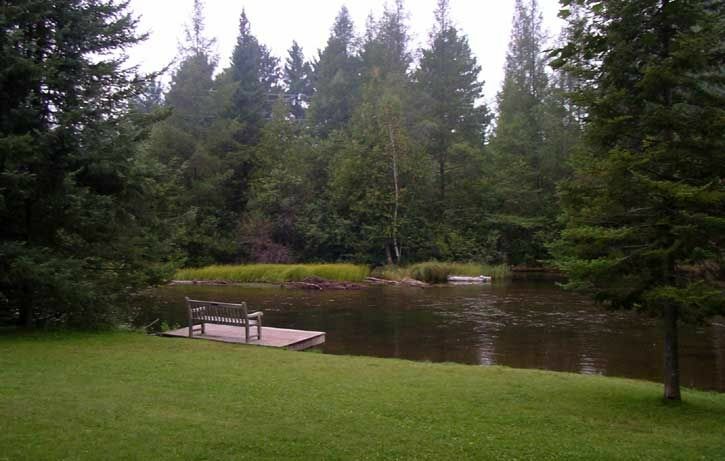 I have a cabin in Grayling and we flyfish the Au Sable every summer. 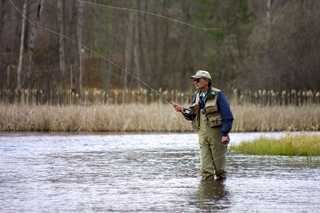 We have always went to the Gates Au Sable Lodge Fly Shop to purchase flies and for some tips. Rusty did a lot for the river and we have to thank hime for this. My prayers go out to him and his famliy. Very sad news. Rusty was very well respected in Ohio. I have a lot of friends that frequent his lodge who I’m meeting with tonight to tie flies. I’ll speard the news. Rusty was respected by many anglers in Ohio. Rusty Gates was a truly great man. HIs commitment to conservation was unequalled. We should all strive to take just a little of what Rusty taught us and carry that commitment forward on all our home waters as a tribute to Rusty’s legacy. He will be missed. It is left to us to carry that legacy forward for generations to come. Thanks Rusty. Take a moment to bow your head and give thanks for this remarkable man. We are in his debt. Those who have fished the Au Sable are better off because of his efforts. RIP Rusty, your work lives on. Rusty lives on in the thousands of people he has touched and in the river he has protected. He has left a legacy we can all appreciate everytime we set foot in the Ausable. Tough year for keepers of the Au Sables. The New York AuSable lost Fran Betters this summer. The word “friend” keeps popping up in folks’ kind words about Rusty. When I got the word over the weekend, I truly felt like I had lost a long-time friend. Because I had. His dad, Cal, ran the Lodge well with his bride Mary. I found young Rusty to not be very comfortable with other people. Over the years, though, he matured into a wonderful man, who always made his guests feel welcome and appreciated. Julie and Rusty made a super pair, and our hearts and prayers go out to her and the rest of the family. God bless them all. To say he will be missed is, sadly, a large understatement. Anyone that has ever fished the Au Sable river knows of the name Rusty Gates. Rusty was the owner of “Gates Au Sable Lodge”, director of “Anglers of the Au Sable”, and the lead force in any fight against issues that affected the Au Sable river here in Michigan. Rusty’s shop was one of the very first fly shops I ever went into back in the late 80’s and was one heck of a friendly guy. It was always a tradition to go into the shop and BS with Rusty anytime we were in Grayling to fish. About a year or so ago Rusty was diagnosed with Lung cancer, sadly he just passed away from his fight with it. Going into Gates shop won’t be the same without rusty there, and the Au Sable river has lost one of its best friends and biggest fighters for it. Just a couple of months ago, I was on my September fishing outing and my cheap wading boots actually fell apart while floating the North Branch. I drove to Gates Lodge the next morning, and bought a new pair of boots. Rusty was working at the counter, and nothing seemed any different from all my other visits. As one of the most adamant protectors of the Au Sable, a prolific fly fisherman, and a generally nice guy – he will be missed in more ways than one. The famed Au Sable River might have lost a dear friend in Rusty Gates, but his conservationist creed will live on thanks to his dedication and diligence, friends said. Calvin Hugh “Rusty” Gates, the owner of the Gates Au Sable Lodge and longtime president of the conservation group Anglers of the Au Sable, died Saturday after a lengthy battle with lung cancer. He was 54. His final months were spent with his family along his beloved Au Sable River, Greenberg said. Gates Lodge is a place where thousands of anglers gather annually during fly-fishing season from April through autumn. Gates and his wife, Julie, could be found there at all hours, tending to the smallest details of fly-tying and gourmet cooking. With classical music playing in the background, the fly shop buzzed with patrons’ latest stories from the nearby woods and waters. Greenberg met Gates when he entered the fly shop as a 15-year-old. When Gates asked him if he tied, Greenberg hesitantly replied that yes, he tried. Gates developed a number of fly patterns that became standards, and introduced scores of people to the world of fly-fishing. But it was his tireless defense of his beloved Au Sable River that changed the way many Michiganians see their natural resources. 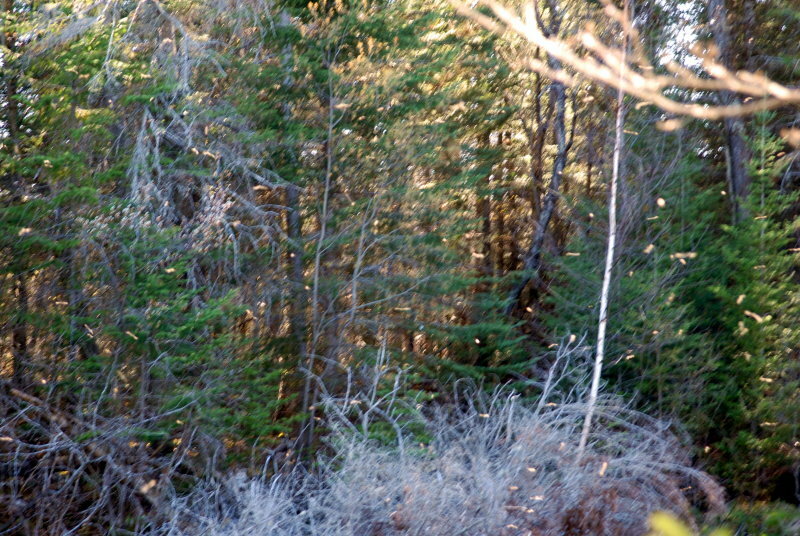 In 2003, Gates, as president of the Anglers of the Au Sable, challenged a U.S. Forest Service lease that would allow exploratory drilling for gas below the famed Mason Tract section of the South Branch of the Au Sable. With the odds stacked against them, the Anglers prevailed in their case, forever altering how the business of gas and oil exploration would be conducted in the fragile areas of Michigan. Calvin “Rusty” Gates Jr. ran a popular lodge on a stretch of the Au Sable River in northern Michigan known as the “Holy Waters,” and he was the leading guardian of a waterway revered by generations of fly fishermen. Mr. Gates, 54, died of complications from lung cancer Saturday, Dec. 19, in his home along the Au Sable, east of Grayling, Mich., said Josh Greenberg, manager of Gates Au Sable Lodge. During the 21 years that he owned the lodge, which his father bought in 1970, Mr. Gates gained a national reputation with both fishermen and conservationists for his work on the river. In 1987, he started Anglers of the Au Sable, dedicated to preserving the wild quality of the river. Every September, Mr. Gates and his group, which today counts about 800 members, executed a major river cleanup, pulling out many canoe-loads of trash left by careless visitors. The Anglers of the Au Sable also won several legal battles in defense of the river, notably a ruling that stopped a plan for exploratory drilling for gas below the Mason Tract, a nature preserve next to the river’s South Branch. His allies in these court battles, many of which dragged on for several years, were avid fly fishermen with law degrees who volunteered their time. Mr. Gates’ father was a high school music teacher and fanatical fly fisherman. Just a teenager when his dad bought the lodge, Mr. Gates became a top-flight fishing guide and fly fisherman, creating patterns like the Rusty Spinner and the SRB (Secret Rubber Bug) to entice the Au Sable’s finicky trout. He was the lead author of 2007’s “Seasons on the Au Sable,” a month-by-month document of life on the river he loved. Mr. Gates is survived by his wife, Julie; two sons, Christopher Burden and Paul; a daughter, Misty Wilson; his mother, Maricele; two brothers, Jim and Tom; three sisters, Jody Hinkle, Gena and Janelle; and five grandchildren. A true river legend and conservationist was lost last night. Rusty Gates lost his ongoing battle and is now at peace. He will be dearly missed here on the AuSable and everywhere else. Rusty passed yesterday from a long and courageous fight with cancer. He owned Gates Au Sable Lodge, hard on the banks of our Holy Water. He was a true son of Michigan, a ferocious warrior determined to defend the rivers he loved against those who would harm them, and a mighty fine man in general. We’re sure going to miss him. Calvin “Rusty” Gates. We will miss you!!! 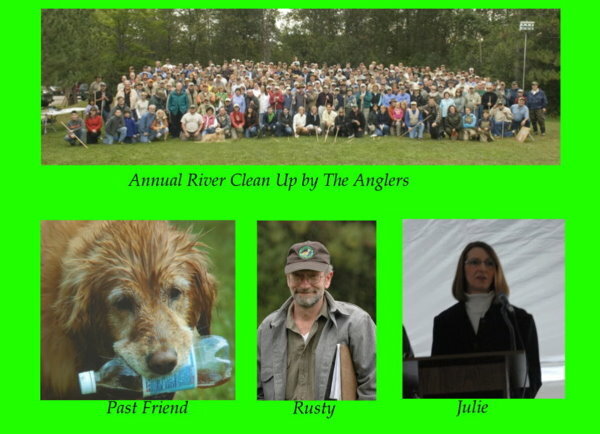 Rusty had come to embody the Ausable and all those who love and care for it. Our memorial to him must be to carry on his spirit and his work. Our condolences to the Gates family. It’s been a long time since a blizzard closed I-75, and we sought lodging along the old AuSable. Mary, you served up a great breakfast. We missed seeing Rusty. We appreciated the flowers he sent to Mom’s funeral last January. May you find peace. Rusty basically taught me how to fly fish, and I will be always grateful to him for that. His willingness to pass along his “secrets”, his eternally optimistic weather and hatch forecasts and his passion for his conservation efforts are but a few of his legacies he leaves behind. I will always wade his waters with great care, and think of him always, with a smile. The river is quiet today because its spokesman has moved on to a new pool. But, he has left us with a legacy to uphold and with God’s help we will all uphold it. May God hold us all in the palm of His hand at this trying time. Another Season on the AuSable, tougher but with some good memories of a gentle and caring man. Last night I checked into my email at the last minute before turning in for the night. This was the news I was hoping wouldn’t come yet. I am so sorry to hear it. The Ausable River and the State of Michigan lost a good man. To me, he will always be the “River Keeper”. The guardian of the AuSable. It was the words in his book, “Seasons of the AuSable” and in the weekly fishing reports, that brought me back to my old home waters…this time with a fly rod, instead of a canoe. ( I used to canoe the AuSable and Manistee in my youth). I enjoyed going into the shop and talking with him over a morning coffee, picking up little pieces of wisdom. The river became my “home waters” once again, as she just kept calling me back. (over 9 weeks on river there this year) I will miss, Da Gator, very much. I also know I can find him again, in spirit, when I’m fishing the “Holy Waters” of the Ausable and the other rivers in Michigan. I’ll hear his voice in the splash of a fish, the sound of the river and in the voices of the woods. My thoughts and prayers go out to Julie and the family and the rest of the “Gates Family”, those who came to know Rusty and his tireless work for the rivers of Michigan. While I know Rusty is finally no longer in pain, the pain of those left behind still continues. My love and prayers go out to Julie and their family. We have truly lost a great advocate for the AuSable. Prayers go out to all Rusty’s loved ones. We have ALL Lost another GOOD Friend. GOD Speed, Rusty You will be Missed. That is sad news. I met him while attending the MI Fish IN of 2008. This man was not only a staunch supporter of the Au Sable but was a wonderful man whom always had time to talk to a fisherman new or experienced. I will miss him as will all that have crossed paths with this gentleman. Rusty was a gift from God. He will be missed by his many friends. I pray that Gods love and grace bring peace to his family and friends in the days ahead. Thank you Rusty for all you’ve done for fly fishing, the AuSable & FAOL. I’ll see you sooner than later. Say hi to Al and Jim for me. You are missed. Being a Michigan guy since the day I was born and the Au Sable being my “Home waters” I had the pleasure of knowing Rusty. Gates was one of the very first fly shops I ever went into back in the 80’s and anytime we were up in Grayling we’d have to stop into the shop and BS with Rusty for a bit. He was really just a heck of a great guy. Always willing to share stories and info as well as just sit and chew the fat with ya. When I hadn’t heard any updates on him for awhile I somewhat had a feeling he might not have been doing all that well with the cancer. This is certainly very sad news. The Au Sable has lost one of it’s best friends and biggest supporters in Rusty Gates. But what rusty accomplished in his life is something that we will all remember and enjoy for many years to come because of him. Very sad. Prayers sent from Pennsylvania as well.On Eagles Wings: Book of Isaiah 40:31 “But those who wait on the LORD Shall renew their strength; They shall mount up with wings like eagles, They shall run and not be weary, They shall walk and not faint.”. Our prayers for Julie and family. Rusty was quite a force for the Au Sable! The world has lost a good’un for sure. May God Bless Rusty, his family and all his friends! My prayers and condolences go out to his family too. He was such a great guy. I can remember my first trip to his shop, back in ‘04. It was somewhat of a dream come true to be at the banks of that amazing little river. I must have spent hours talking to him over a few cups of coffee that first day. It was like that every time I went up there. It’s so sad to see the fly fishing industry losing so many great people this year…but then again, if you think about where they most likely are, I’m sure NONE of them are complaining! I am very sorry to see this news. I had fewer years of contact with him than most, but I quickly developed fondness and enormous respect for him. I wish him and his well. It speaks about his life that he is so heartily missed by so many. What a great loss to the sport of flyfishing. I met Rusty two years ago, while visiting his shop to get some wader repair stuff. What a delightful man to talk too. My prayers and sympathies to his family. I can’t think of many that have done so much for the Au Sable river or for so many people. In the world of environmentalists, Rusty Gates stood tall among the best. Fly fishermen from around the country will mourn the passing of one of the AuSable River’s premier and memorable protectors. Calvin “Rusty” Gates, owner of Gates AuSable Lodge, located on the AuSable River’s “Holy Water,” passed away on Dec. 19 after losing his battle with lung cancer. Gates, who had assumed management of the lodge from his father, Calvin Gates Sr. in 1983, was 54-years-old. The younger Gates and his wife Julie built the lodge into a premier destination, attracting fly fishermen from all over the world. From the time Gates’ father purchased the lodge once called “The Canoe Inn” in 1971, Rusty Gates showed a keen interest in tying flies and serving as a guide on the AuSable River system. In the world of environmentalists, Rusty Gates stood tall among the best. As a proponent for the “catch and release” philosophy, first originated and practiced on the “Holy Water”, Gates’ efforts have afforded fishermen the opportunity for an experience unlike any other in the world of quality fishing. Even the name, “Holy Waters” was coined by Calvin Gates Sr., for that stretch of the AuSable River mainstream running from Burton’s Landing to Wakeley Bridge. In 1987 Gates founded a new group named the “Anglers of the AuSable” to monitor and protect the trout waters of Northern Michigan. His legacy will continue in the work of this 900 strong group of individuals dedicated to this same cause. Ironically, Gates has been, for several years, deeply involved in an organization called “Reeling and Healing – Midwest”, a nationally recognized support and rehabilitation association for women who have battled cancer and love the out-of-doors, especially fly fishing. Underwritten by several major fly fishing manufacturers, “Reeling and Healing” teaches women to fly fish, enjoy the out doors and, in the four seminars sponsored each year by Gates Lodge to draw support from their peers in times of trial. Rusty will be greatly missed by all who love the river and what he meant to the sport of fly fishing. Gates Lodge will continue to operate under the management of Josh Greenberg who has worked for Rusty for the last 15 years. More details on Rusty’s life can be obtained by going to www.midcurrent.com. GRAYLING — Northern Michigan lost an iconic conservationist and legendary fly-fishing outdoorsman. Calvin Hugh “Rusty” Gates Jr., 54, of Grayling, died Saturday at his home along the banks of his beloved Au Sable River after a long battle with lung cancer. 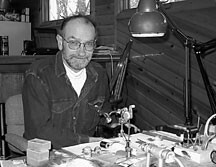 He was founder and president of the Anglers of the Au Sable conservation group from its inception in 1987 until his death, and was among the most trusted voices on fly-fishing techniques in the northwoods. Fellow conservationists, fly-fishers and environmental law advocates spoke of his abundant influence on the region. “We’ve lost a giant. We’ve lost somebody I consider a legend,” said Lance Weyeneth, an Anglers board member who fished with Gates on the Au Sable. Gates is the reason Weyeneth fly-fishes today, and imparted not only skills, but also a love for the river and its ecosystem, he said. Not only was Gates a behemoth in the fly-fishing world, but he also was integral in local conservation and environmental justice issues. “He was the kind of person who comes along once in a while, the type of person who stands for himself and things that are valued by so many others,” said Jim Olson, a Traverse City attorney who worked with Gates on environmental legal battles. Olson came to know Gates well when they worked to fight an oil company’s plans to clean up pollution and dump treated waste water into Kolke Creek, part of the Au Sable’s headwaters. “He gave us a beacon by which to stand up for what’s right. I think he was more than an environmental leader. He stood for the values of nature itself, the lakes and streams and woods,” Olson said. Gates’ business, the Gates Au Sable Lodge east of Grayling, is a fly-fishing mecca, where thousands of anglers flock during the April-through-autumn trout season. That’s a tradition that’s not expected to change in Gates’ absence, said Josh Greenberg, manager. Gates is survived by his wife, Julie, along with a daughter, sons and a large extended family. A complete obituary will appear in Tuesday’s Record-Eagle. Sad news. Rusty was a great friend to Michigan rivers and trout. I live and fish in MI and Gates death is a sad loss to the sport of fly fishing. He has helped to save the Mason Tract – South Branch. It is a beautiful stretch of water. My condolences go out to his family. Rusty was a treasure to the state, and I hope those that follow will learn from his example. A sad day indeed, Rusty was a true hero. All who fish the Au Sable, should bow their heads and offer thanks to this remarkable man. RIP Rusty your work will not be forgotten. Wow did my heart sink when I saw that headline. Traverse City Magazine ran a story on Rusty a few years ago. The opening line was, “The AuSable is Rusty’s river, the rest of us just fish there.” Couldn’t say it better. It will be hard to walk in the shop this May. Rusty Gates will be forever remember for what he did for protection of the waters and woodlands that he and we loved and enjoyed. A great leader has fallen. We must continue his work. Our sympathy and prayers go to his family and relatives. Like others, my heart just sunk when I read this news about Rusty. I will always remember him for his incredible commitment to the Au Sable, by which we have all been benefactors, and his willingness to have a cup of coffee early in the morning and just chat. Unfortunately, I can’t say enough. I will miss Rusty and his cryptic fishing reports. But most importantly, before any decoding of his report was begun, he would always start with “the coffee is hot”. His most remembered words to me: “Eli, you got to hit the log” and “we need money for the river”. Good bye, my good friend and fellow of the angle. My heart goes to Julie and the kids. Having know Rusty for a few decades, I can say he will be sorely missed. It’s rare to find a person with such passion for not just the sport, but the river he protected and defended to his all too-quick ending. Rusty always seemed to have time for a cup of coffee and to show how to tie some of his truly great patterns. This is a sad time for lovers of ‘The Holy Water’. Thanks for being with us this short time on Earth and God Bless you! In journalism we call him a “source.” In truth he was “THE SOURCE. ” Rusty Gates, River Keeper of the Au Sable, was a source of information and story ideas for me, but he was a source for many others who are not journalists. At 54, Rusty lost his battle cancer last weekend, but will be remembered by thousands of outdoors men and women as a source of inspiration. Just as a river springs from it’s source, people gravitated to Rusty for inspiration before activism on the Au Sable River. He was the point-man in the fight to pioneer catch-and-release fishing on the river. He lead the battle against noise pollution on the North Branch of the AuSable, oil drilling on the South Branch, and toxic chemicals on the Main Branch. Many will simply remember him as a source of information in the fly shop: “What’s the best place to fish, and what to use?” …or “How do I get this thing fixed so I can go fishing this afternoon?” He knew everybody and everyplace on the river. Although not eager to get in front of the camera himself, he always knew of someone who was about to go do whatever I needed to photograph. I bummed hundreds of cups of coffee from him over the years, and he was always ready to drop what he was doing to help me. Rusty’s beloved Au Sable will continue to flow, thanks in part to his efforts over the years, but the river will seem a bit different now for many of us without “The Source.” In this picture, Rusty let me tag along with him as he fished the “Holy Waters” in early January of 2007 for a story about how unusually warm it was — so warm that people were fly fishing in Grayling. “Rusty was a true treasure,” Rebecca Humphries, director of the Michigan Department of Natural Resources, said in a statement. Michael Randolph | Times PhotoRusty Gates, right, sits at the tying table with Joe Guild at Gates Au Sable Lodge at Stephan Bridge near Grayling in this 2008 photo. Calvin “Rusty” Gates Jr. is being remembered as a “true treasure” who fought to protect the Au Sable River in northern Michigan. Gates, a celebrated conservationist, fly fisherman and owner of Gates Au Sable Lodge in Grayling, died Dec. 19 at his home on the river after a lengthy battle with lung cancer. He was 54. Gates served as president of Anglers of the Au Sable from its inception in 1987 until 2009, the Michigan Environmental Council noted in a news release. Gates and his organization won several landmark legal cases in coldwater conservation during that time, fighting in particular against natural gas exploration in the Mason Tract area. “Of all the strong conservationists in our world, Rusty was one of the toughest,” Tom Rosenbauer, winner of the 2001 National Outdoor Book Award, and marketing director for the Orvis Company, said in a statement. “He was tireless, and he was like a missile in his precision and deadly accuracy. Yet he never, ever, wanted credit for anything — just for the various groups he worked with, especially the Anglers of the Au Sable. The Gates Lodge remains in business under the leadership of fly shop manager Josh Greenberg, who has worked for Gates for the last 15 years, MEC officials said. “Rusty proved that people don’t fill their gas tank to fill their fry pan,” said Glen Sheppard, author/editor of the conservation newspaper The North Woods Call. Arrangements for Gates are being handled by the Sorenson-Lockwood Funeral Home in Grayling, (989) 348-2951. Services are planned for 1 p.m. Wednesday at St. Mary’s Catholic Church in Grayling, with a luncheon to follow. Gates is survived by his wife Julie, their children, and a large extended family. Truly, this is a time for all of us who knew Rusty to spend time with our own memories, our own thanks, and our own silent well wishes to his family. It’s with great sadness that I write this: Rusty Gates passed away last evening in the company of family and loved ones at his home on the banks of his beloved Au Sable River. Rusty meant so much to so many, he fought so hard for so much, and he remained altruistic to the end: worrying about his wife Julie who diligently cared for him, asking about his friends who he was no longer able to see, directing the Anglers of the Au Sable despite his deteriorating health. I would have expected no less from the man who remains one of the finest, most generous and least self-serving people I’ve ever met. He loved this river and the outdoors so greatly that it’s impossible to extricate one from the other. Whether it was birds on the railing of the board room, a fawn in the long grass during brown drake time, a long cast at dusk toward the spreading rings of a rise, or packs of coyotes running past his secret hex camp – they were all his home. There are many, many people who were unable to say good-bye in person to Rusty, but the helplessness of this loss will hopefully be eased by the great care he took in ensuring that the resource that he fought for will continue to prosper under the protection he helped instigate. He once looked at me over a fifth of very fine bourbon and said that he was only a page in the history of this river. If it was only one page, it was a mighty fine page indeed. Details are tedious at this hour. Truly, this is a time for all of us who knew Rusty to spend time with our own memories, our own thanks, and our own silent well wishes to his family. Please direct all necessary correspondences to the lodge phone and email. I will be here as long as I can, as often as I can, and with as much information as I can. A press release, instructions for memorial donations, and other news will also be offered at the Anglers of the Au Sable website: www.ausableanglers.org. There is a new forum on the Anglers site for all of us to write and discuss and remember. I will update this site further as information is made available and the weight of this loss subsides. Rusty took great pains in preparing for this day and we will march onward, and in his spirit, as he arranged. I thank all friends of the river for their support at this difficult time. There will be 2 visitations on Tuesday, December 22, at the Sorenson-Lockwood Funeral Home, 1106 W. North Down River Rd., Grayling, MI, 49738…(989) 348-2951. The first visitation will be from 2-4 p.m., the second from 6-8 p.m. There will be a third visitation on Wednesday, December 23, from 11 a.m. – 1 p.m. The funeral will be held at 1 p.m. on Wednesday, December 23, at St. Mary’s Catholic Church, 708 Peninsular Avenue, Grayling, MI…with luncheon to follow. Memorial Contributions: Memorial contributions can be made to the Anglers of the Au Sable or Heartland Hospice, 417 W. Houghton Street E, West Branch, MI 48661. To make contributions to the Anglers, please go to their website at www.ausableanglers.org and follow the directions on the front page. My first visit to Gates was the last day of the season of 1987. Like many people, I misunderstood Rusty’s silence as perhaps unfriendliness. But each time I went in there, he spoke more, but only enough to to teach me a bit about the river, a bit about trout, a bit about how the weather affects the river and the trout. He never imparted more to me than was necessary to get his point across. I am not surprised the postings I read here said Rusty could accomplish much by just making one or two phone calls. He was a man who chose his words sparingly, but very wisely and when he spoke, you really were prepared to listen whether you were an angler getting some fishing advice or an organization attempting to abuse the river. Funny that the river kind of operates/communicates the same way as Rusty did. The river chooses to rise above it’s banks during high water ONLY when it finds it necessary to do so. The river banks decides on the best time to release it’s grip on the roots of big ceder, providing better cover for the fish below. Thanks for the life lesson Rusty. I’ll try to listen a little more and speak only when I really have something worth saying. Maybe I will then accomplish as much as you did in your short time here with on earth. You were a great steward and a teacher. Thanks for the life lesson Rusty. I’ll try to listen better and and only make my point when there is a point to be made.